Chartboost identifiers explained: expected formats, use, and support. IFA is also referred to as IDFA. They are the same thing. // Print IFA (Identifier for Advertising) in Output section. Add to applicationDidBecomeActive. iOS 6+ devices only. Alternatively, you may be able to find your device IFA by using a third-party app called The Identifiers. Does use of the Chartboost SDK comply with Apple’s IDFA policies? Please continue using the Chartboost SDK with confidence, and for any questions or concerns, contact us. How do I get my GAID? On your Android device, open the Google Settings app. 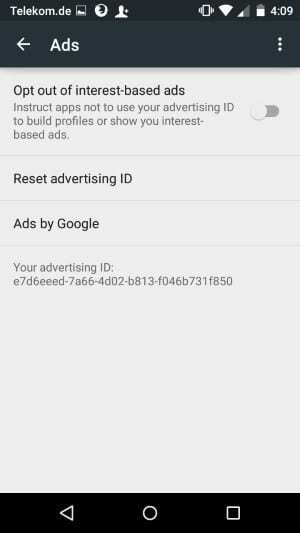 Your advertising ID appears at the bottom.